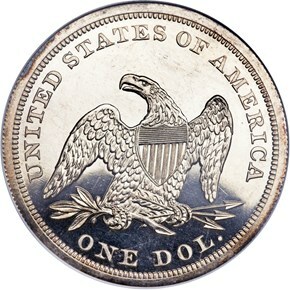 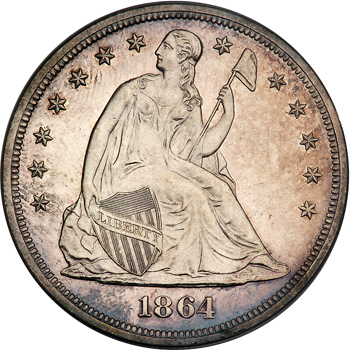 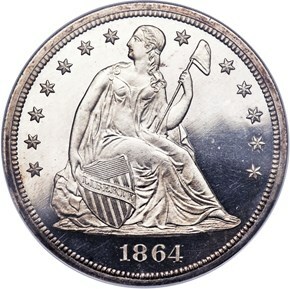 In general terms, the 1864 dollar is considered scarcer as a business strike (30,700 pieces coined) than the proof issue (470 pieces), as apparently many of the business strikes were subsequently lost or melted. 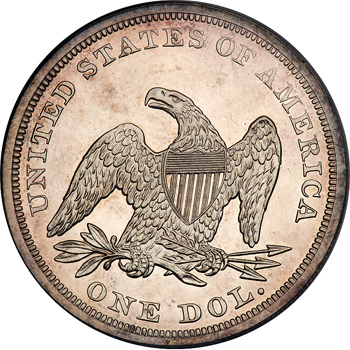 Of interest to specialists is that this small proof production was struck from three die pairings. 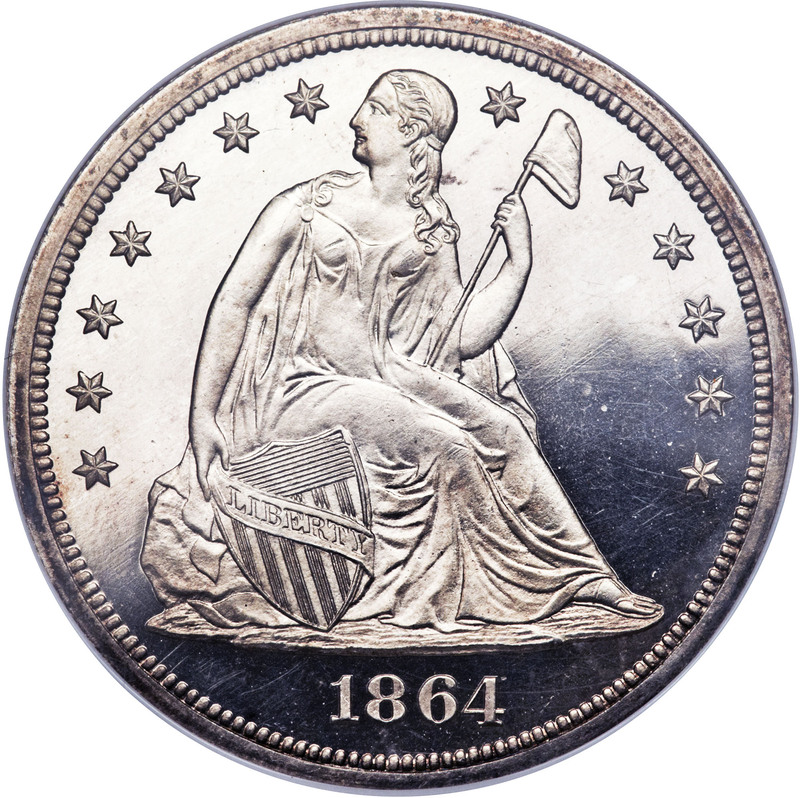 In Bowers' dollar Encyclopedia (1993), he speculates (based on a letter from Walter Breen) that one of these die pairings may have been from restrike dies, and the actual number of 1864-dated proofs could have been higher than the 470-piece official mintage. 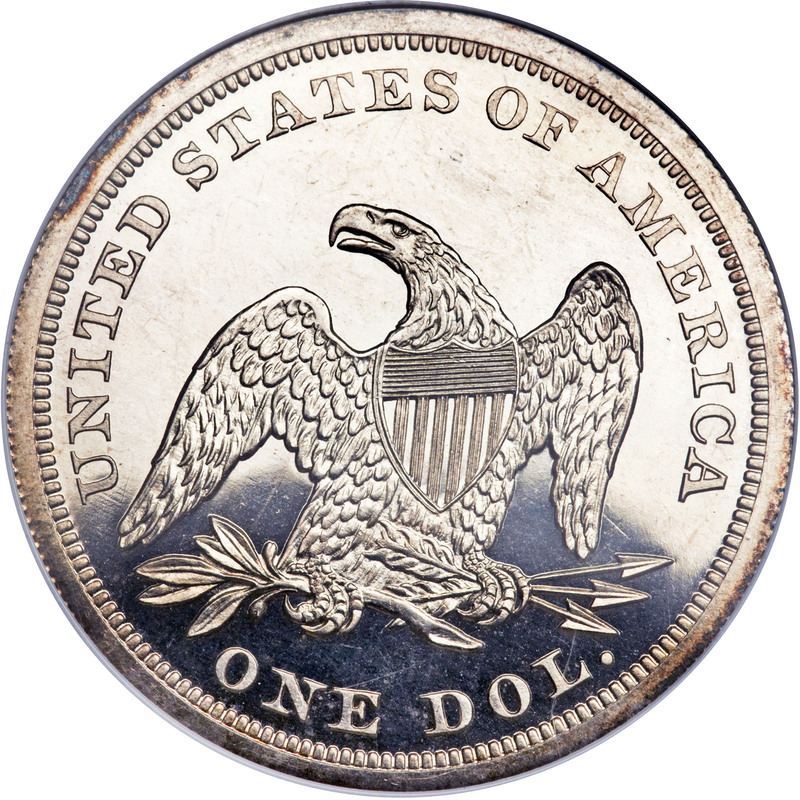 The jury is still out on this speculation.